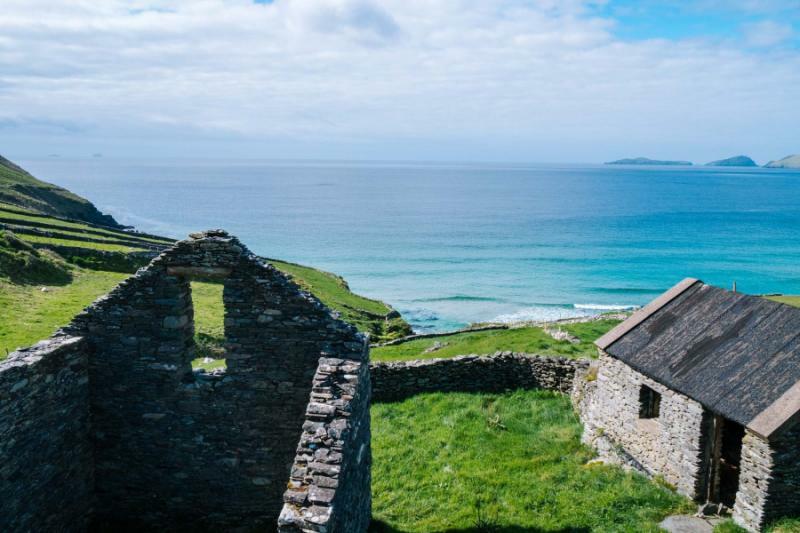 Ireland is wonderfully conducive to a family vacation as tranquil green spaces, soft adventures, and local traditions bring everyone together. 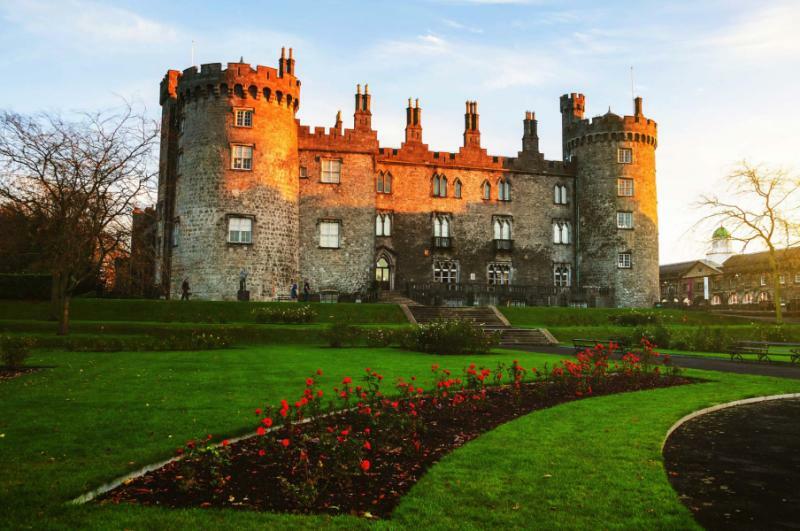 Handcrafted to include a little of everything, this flexible Irish tour is based around three distinctive castles as Dromoland provides heritage and bliss, Ballyseede shows you County Kerry and Dingle, and then Waterford offers the pastoral interior. So take it slow and get to know the real Ireland as a family with a lively visit around a welcoming country. Looking for more inspiration? 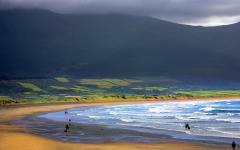 Browse our Ireland vacations page to make your dream Irish family vacation tour come true. Ireland is a delight for all ages as it seems as though time has stood still to preserve a world that offers space and freedom for families to really come together. Nothing is rushed, and nor is there the stress that you may find in busy cities or overcrowded destinations. The Irish way is tranquil and traditional, and everyone is invited with children integral to society – for example, they are allowed into pubs to listen to storytelling, up until 9 pm. This is a country that is wonderfully conducive to a family vacation as all ages will find something they like and something they want to do. You can set off onto landscapes and see nobody else around, leaving just you and your kids walking or cycling in nature. When exploring towns, you will get all of the charms that Irish tradition provides. And then there are the castles that are beautiful, traditional, and fairytale-like for kids and also the ideal accommodation for adults. This 10-day family tour is customizable and has been designed around Ireland’s best three castles for families. It has been handcrafted to suit families with children of all ages, using three distinct castles from which to plan a real Irish adventure. You will enjoy three nights in Dromoland, three in Ballyseede, and then your last three in Waterford. Fly into Shannon in the west, and then depart from Dublin to the east to easily sketch your route across Ireland. Each of the castles is small and traditional enough to provide an authentic Irish experience, yet big enough to offer some space for young ones to run around. Local guides will customize your experience, and there are plenty of available options, as all three destinations could keep you entertained for seven days or more, so it is really about how you feel when you are in Ireland and what you would like to do. 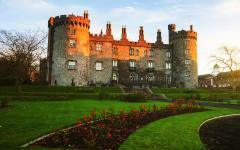 Begin with Dromoland, a grand five-star castle resort tucked in the heart of old Ireland. Horses still pull carriages down the driveway and it will feel as if you have stepped a century back in time, which is a fine introduction to what Ireland is all about. The transfer from Shannon International Airport is only 20 minutes and the atmosphere is ideal if you are a little sleepy from the flight. From here, you can explore nearby Adare at your leisure while spending days two and three getting to know the highlights of County Cork and County Limerick, including Blarney Castle. The language is evocative around Ballyseede, part of the final Gaeltacht, the Irish speaking areas. 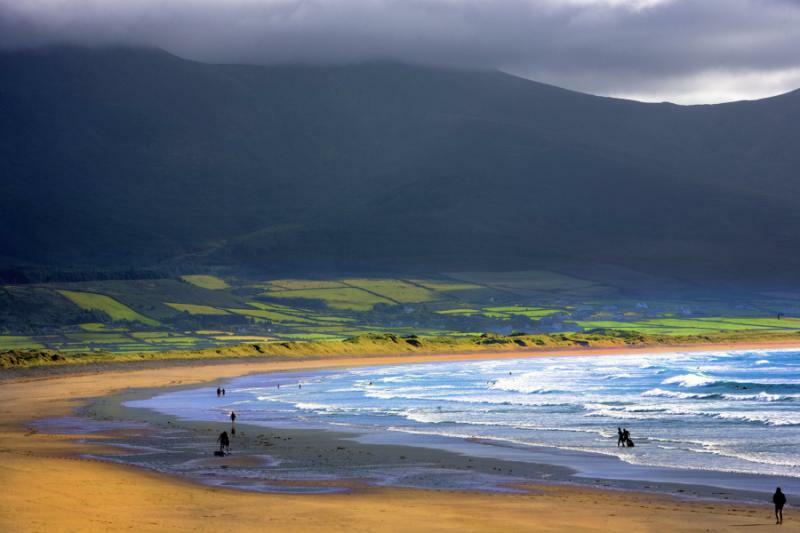 Just off the coast, this region is a great place for exploring local traditions such as storytelling, either in the castle or in nearby Dingle. 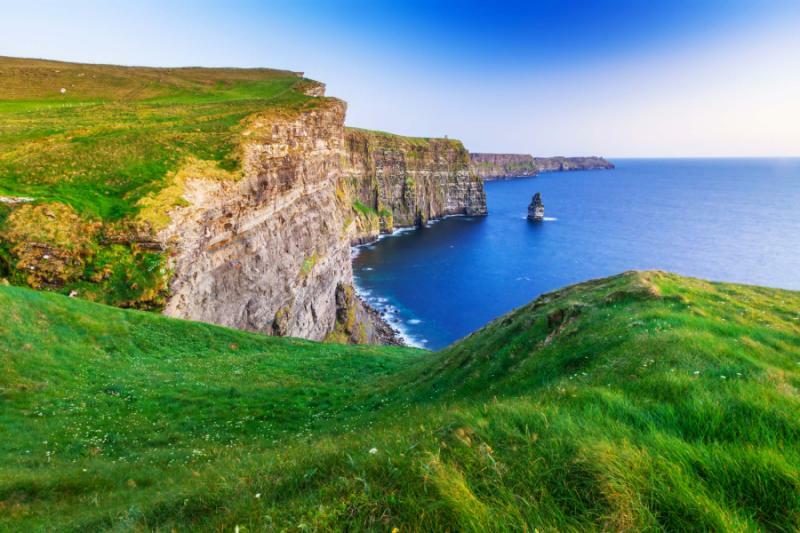 You will stay in a late 16th-century castle overlooking the vast gardens, and also visit stunning coastal attractions over these three days including The Burren, the Cliffs of Moher and the Dingle Peninsula. Explore on land and in water, and then spend your evenings either in the castle or in the little pubs nearby. As with the other destinations, your Irish guide will customize an experience for you and show you what is possible along with the necessary local know how. 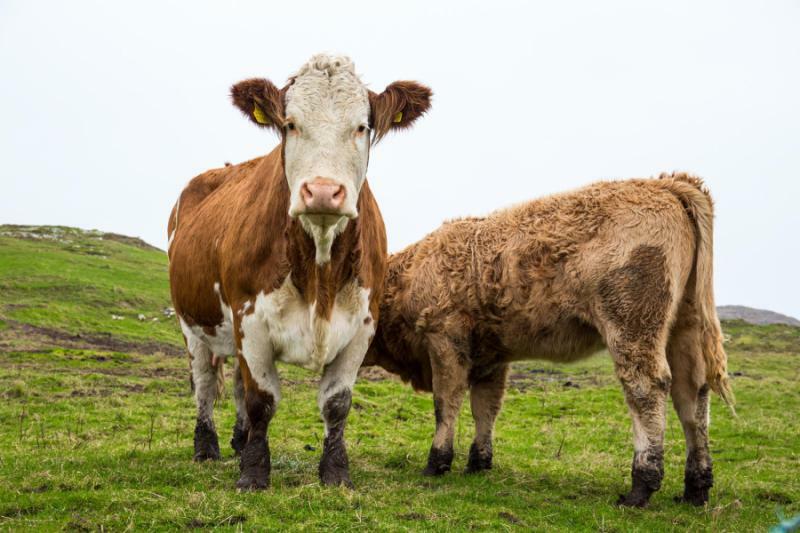 From Ballyseede, you will travel along the Ring of Kerry with your private guide on a one-way journey that will bring you to Waterford, a vibrant old city in the heart of Ireland. 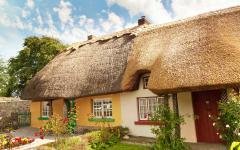 This is the perfect base for customizing an Irish experience as you can visit Wexford, Kilkenny or County Wicklow. See gardens and ruins tucked away from it all, or go cycling and walking in the countryside. Perhaps even take a day trip to Dublin. 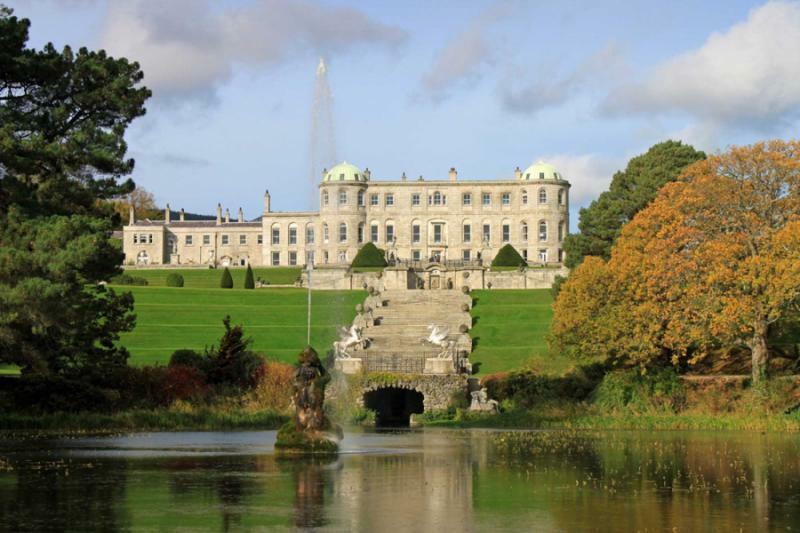 Just as in Dromoland and Ballyseede, your private guide will tailor the experience to your interests with your quiet castle yours for resting up each evening. 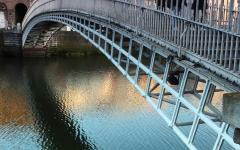 From Waterford, you will transfer to Dublin with some time on hand for some quick city exploration before you fly out. Learn more about how the luxury Ireland tour companies we work with can personalize the vacation of your dreams. Dromoland immediately transports you into a version of Ireland that many may think only exists in dreams. Here there is a castle that excites from first glance to last, a place decidedly traditional yet modern and comfortable inside. 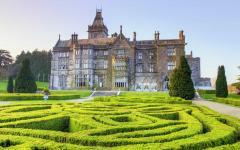 Dromoland is part medieval and part turn of the 20th century, a mix of two worlds that make it perfect for today. It is only a 30-minute transfer away from Shannon International Airport, a convenient gateway into Ireland that bypasses a long transfer from Dublin, which was the only way to get out west 20 years ago. After a private transfer, you will check into the castle that is located on the outskirts of town. All around you is green space with cows roaming the fields and wide-open lawns for the kids to run about. As you settle everyone in, you can take a stroll around the grounds, or even head into Adare. A quiet town like Adare is ideal after an international flight, and you can stretch your legs and see a little piece of Ireland without having to think about transport or unfolding an unruly city map. Original thatched-roof cottages stretch out along the streets here, each of them a complementary yet contrasting hue. Inside of these cottages you will find small restaurants, art and craft shops, cafes and pubs. Horses still pull carriages through the middle of the town, the clip-clop clip-clop a sound far more noticeable than that of any car engine. A horse and carriage ride is highly recommended, a peaceful way to get your bearings for the next two days. Take it easy on these mornings, as there is no need to be rushing around in Ireland, especially not when you are staying in a five-star castle hotel. Your local private guide will sit with you and plan your itinerary to incorporate highlights that are within a one-hour drive. This will be the same as when you are in Ballyseede and Waterford, as each destination provides a convenient base to explore a different corner of Ireland. Over these ten days, you can get around both the major and the unknown sights without having to spend most of each day in a vehicle. Having only three bases means you can properly settle in and feel comfortable in your surroundings and experience the subtleties that exist between different Irish counties. 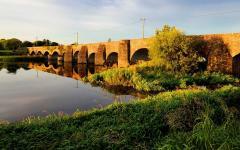 Over these two days, you can explore County Limerick and County Clare, perhaps also heading out as far as County Cork. In Cork, there is Blarney Castle and its famous stone, which you can kiss while leaning over backward and gain the “gift of the gab.” Cobh is nearby, the last port from which the Titanic set sail. The interactive Titanic museum is great for kids and helps everyone understand what it was like on the infamous vessel. Wildlife roams freely in Fota Wildlife Park, and there is also Cork itself, a colorful city that is in some ways a larger version of Adare. In Adare, you will find Desmond Castle and the Foynes Flying Boat Museum, but the big highlight of being in County Limerick is all the space. Bucolic green landscapes stretch out in all directions with peaks that are shrouded in mist, forests that give way to quiet lakes, and adventurous trails that can take you deep within green valleys. 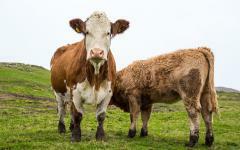 Galtymore and Ballyhoura are two options, Lough Gur another. There are walking and cycling trails for all ages, from mountain biking on narrow tracks to taking the baby stroller along the waterside. In County Limerick, you can really explore nature, before spending the evening in the castle, warming your feet around a fire. It is in the far west of Ireland that you will find the few remaining Gaeltacht, the Irish-speaking areas. Language is just one element of tradition that they are keeping alive, and the further west you come, the more you can experience the storytelling and the dancing for real-world examples of how heritage can be part of everyday. 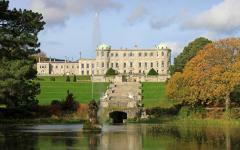 It is a comfortable two-hour drive from Dromoland to Ballyseede, with many potential stops along the way. 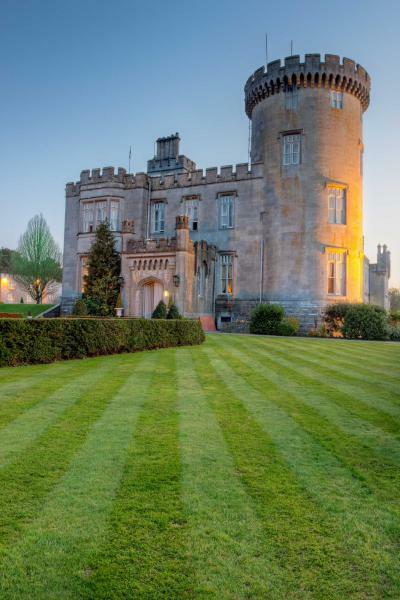 You will sense Ballyseede before you see it with its grandeur hiding beneath the trees, and then you will settle your eyes on its distinctive driveway and turrets. Check into this castle in the far southwest of Ireland, and then head down to the coast and spend two hours on a boat tour of Dingle Bay. The Brandon Mountains look down, dark and brooding as they protect the interior while cliffs rise and fall, and then open up to showcase tiny bays and beaches. Seals are sometimes spotted, and you can watch for the famous dolphin that mistakenly ended up in Dingle and instantly became a local celebrity. This evening you might want to try one of the Dingle pubs for a local dose of storytelling or Irish dancing, or you can have a quiet evening in the castle restaurant. Iron Age forts stand on the Dingle Peninsula, evocative ruins that suggest what was here so long ago. Early Christian monasteries provide a historical contrast, also beautifully situated on the wild western cliffs. Beaches are found as well as history with space for the kids to run freely and make all the sandcastles they like. 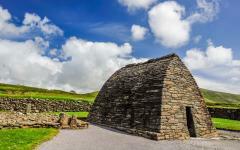 You can explore the villages, as Gaelic as they come and as memorable as any in Ireland. 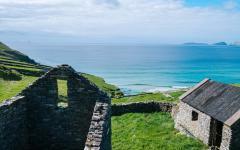 The Dingle Peninsula is one of Europe’s oldest places for a family tour that combines old stories with wide open spaces. Travel to Dunbeg Fort and look out from Slea Head towards the Sleeping Giant, a mysterious island. Stop at the Blasket Centre to find more about this island and choose whether you want to take the boat across from Dun Chaoin. Later, enjoy making your own pottery in Louis Mulcahy Pottery center before stopping at the peculiar, dry stone church that is Gallarus Oratory. It dates back to the seventh century, and your guide will present your kids with a challenge as legend says that if you can climb through the church’s back window, then your soul will be cleansed. Return to Ballyseede and an evening to try traditional Irish storytelling and dancing in one of the nearby pubs. Children are welcome in the pubs when accompanied by adults until 9 pm, and many have a family-friendly atmosphere through the evening, and then become raucous after all the families have left. This is ideal if you want to experience the Gaelic traditions without having to visit a tourist show while also ensuring an enjoyable environment for your family. Of all the Irish landscapes there are two that most capture the imagination, and both are easily combined on a private day trip from a Ballyseede base. Strange rocks tumble across The Burren, like stepping stones taking you into space. It will feel as though you are walking on the moon, but you will then encounter strange Neolithic tombs and humanmade rock formations. How did people put these here? How was it possible to move these rocks 4,000 years ago? The Burren invites questions and is such a peculiar land it is quick to grab the attention of your kids. There are many different trails, so you can go for a walk, or simply drive to the key points. 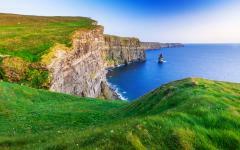 Nowhere in Ireland is more photographed than the Cliffs of Moher with the 700-foot massifs that climb sharply from the Atlantic. Stark and rugged they suggest being on the edge of the world as waves crash below in the fierce wind. From the busy car park, you can head left and it will not long before you have a lot of this landscape to yourself. While highly popular these cliffs stretch a long way, so you can still have a private piece of the coast to enjoy. Visit both of these sites, and you will be back in Ballyseede by mid-afternoon, leaving some time for walking or cycling in the surroundings. 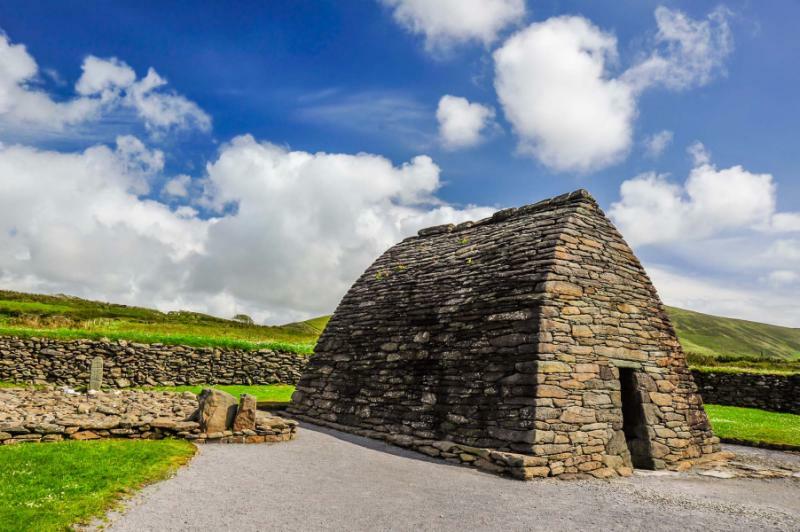 Today involves a significant amount of time in a car, but your lively private guide will make the most of your ride to Kilkenny via some iconic stops on the Ring of Kerry. Expect to be on the road for four to five hours, with a succession of short breaks in exciting places. You could stop at a working farmyard where your kids can learn about sheep shearing, or you might pop into a fairytale forest that leads to the cascades of Tarc Waterfall. There are striking viewpoints to stop often, where every angle appears to be green and mountainous, and then Kenmare for a place to grab a coffee and walk the streets. The Ring of Kerry is Ireland’s most famous attraction, so it can be a little tiresome doing it all, so your guide will show you the most impressive parts before you continue east towards Waterford, your final overnight castle base. Thanks to your base in Waterford you can go in several different directions and customize a journey with Irish highlights that are not necessarily on the coast. In Wexford, you can enjoy the heritage park that is packed full of burial sites and homesteads from through the ages. In Waterford itself, you can see the famous crystals and an old Viking heritage. Wicklow is where you find the Irish gardens, including lakes and flowers but also a new Irish chocolate garden. Then in Tipperary, there are castles, woodlands and the famous seat of the Munster kings. You could also take a trip to nearby Dublin for a bit of city life. 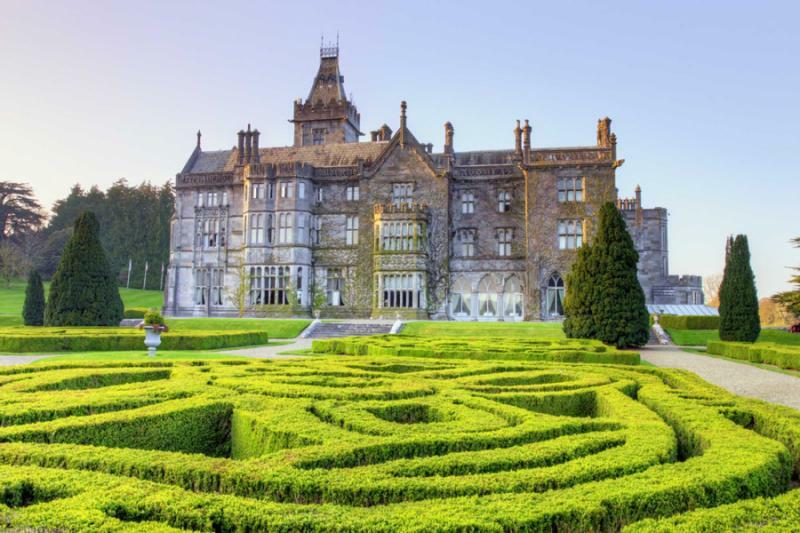 All of these options could be a day trip from Waterford, and your guide will explain what you can see and do in each, from the Tarzan swings at Roundwood to Lismore Castle and Gardens. Waterford reveals its charms in between. 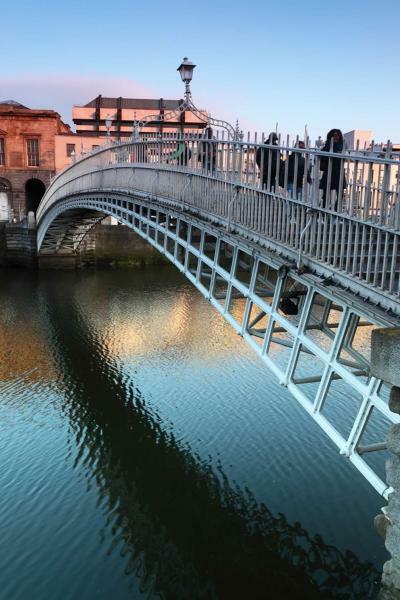 This is Ireland’s oldest city and has been beautifully restored to reflect its heritage. Covered slipways lead to ancient-looking buildings, with cafes and restaurants and galleries in abundance. 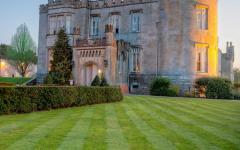 Waterford Castle is part of the backdrop and helps you really live out the old era. Saint Canice’s Cathedral is a building full of fascination and some of the city’s pubs have been tailor-made for families. A private guide will show you around and make sure there’s something for all ages in your family. By departing from Dublin you can have some time to see the capital. How much of the capital depends on your flight time, but even an hour can give you a glimpse of something new. Day-room hotel use can be arranged should you need it as you prepare your family for your international departure after a lively Irish adventure.